This is the second release under the leadership of Dee Byrne, who writes all the tunes here, though the balance of strong personalities in the band mean that no single voice dominates. Byrne’s solos are powerful, urgent and attractively grainy-toned, with a touch of the Jackie McClean, and her writing is equally forceful and characteristic. The titles hint at an overarching concept at work, to do with interstellar bodies and cycles of energy, and the musical content is suitably austere and serious. ‘Stelliferous Area’ has an imposing, minor-key atmosphere, enhanced the clear, restrained trumpet work of Canniere, who impressed with his own equally sombre ‘Darkening Blue’ release earlier in 2017 - the composition is elegantly put together in the European straight-8 style and Fisher’s powerfully virtuosic drumming builds up a real intensity. ‘Fish Whisperer’ moves from similarly chilly, evocative beginnings into free territory. ‘Interloper’ is described as ‘a dark, aggressive tune about an unwanted intruder’ but the switch to fender rhodes actually introduces some warmth to the theme before the band embark upon a group free improvisation. 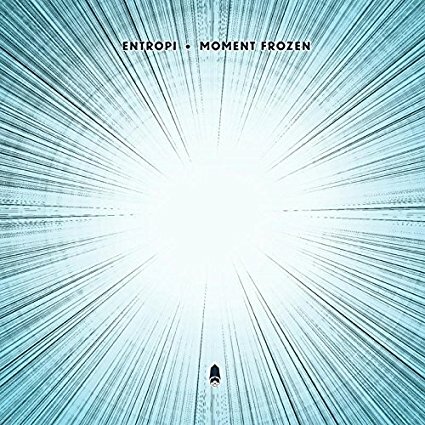 ‘Moment Frozen’ is a stand-out, the horns playing long notes to create a sense of stillness and peace over a turbulent free rhythm section, ‘It’s Time’ is the most accessible piece here with a great rhodes solo from Rebeca Nash, whose creative and sensitive accompaniment shines throughout. ‘In The Cold Light Of Day’ is the album’s centrepiece, at 14 minutes long giving everyone time to stretch out and allow the intensity to build, sustain and descend again to stillness. ‘Leap Of Faith’ has a melody faintly reminiscent of ‘In A Silent Way’ and a mood of Alpine space similar to the earliest Weather Report records. The quality of the musicianship is outstanding throughout, beautifully captured in a crystal clear recording by James Towler and Alex Bonney. Byrnes is a powerful creative force both as writer and performer and fans of European contemporary jazz will find much to satisfy.